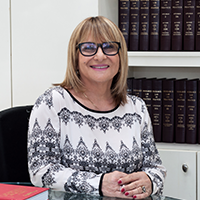 On 23 January 2017 the Supreme Court dealt with the question of whether a non-admitted insurer is entitled to file a subrogation claim in Israel in its own name and answered the question in the negative (C.A. 8044/15). The Court upheld the Central District Court judgement in CC 53025-11-14 VIG Vienna Group v. the Drainage & Streams Authority Sharon & Others which approved a motion to strike out a subrogation claim filed by an Austrian insurance company for damages caused by flooding in January 2013, resulting in damage to a plant insured by VIG. The insurer filed a subrogation claim for recovery of insurance benefits it had paid, against various defendants including local authorities and municipalities and their insurers for their failure to take measures to avoid the flooding. The defendants argued that VIG which is not licensed nor regulated by the Commissioner of Insurance in Israel, cannot file a subrogation claim under Article 62 of the Insurance Contract Law – 1981. Based on lower Courts’ decisions, the defendants argued that the subrogation right is afforded by law to an “insurer” as defined by the Control Over Financial Services (Insurance) Law (hereinafter: the Control Law), as anyone who received an Israeli Insurer’s license or a Foreign Insurer’s license. Judge Schwartz of the District Court decided that the Insurance Contract Law regulates the substantive relationship between insurers and insureds and the Control Law applies to the relationship between the insurers and the Regulator. Although with different objectives, both laws are linked by the same purpose which is protecting the insured and balancing the gap between insured and insurer. Therefore, the proper interpretation of Article 62 of the Insurance Contract Law, is that the right of subrogation will be granted only to an insurer which has fulfilled the provisions of the Control Law i.e. received an Insurer’s license. The Judge held that the right of claim against the wrongdoers is still held by the Insured and as a result, the insurer is not allowed to file the claim in its name but instead, the claim against the parties responsible for causing the loss will be filed by the insured, and the insurer will be entitled to the fruits of this judgement, (by virtue of the Discharge & Release document). In the appeal filed by VIG, the Supreme Court decided not to interfere with this decision, therefore it has a binding effect on the lower courts. Thus, the determination of the District Court is upheld and the right to sue the Tortfeasor is not transferred to the insurer by the payment of insurance benefits, and such claim should be filed in the name of the insured and the insurer will be entitled to the proceeds of the claim. The VIG judgement creates a distinction between the procedure for filing the claim against the party responsible for the loss or damage between the admitted and non-admitted insurer. The latter may not file the claim in its name, but rather he will handle and control the claim behind the scenes as a claim which is formally submitted in the name of the insured. The insurer will be entitled to receive from the insured the proceeds of the claim, and these sums should be held by the insured as trustee for the benefit of the insurer. The result of this judgement is not nullifying the rights of a non-admitted insurer to the recoveries from the party responsible for the loss. However, from the procedural technical aspect, the Plaintiff should be the insured, and the right of the insurers to these monies should be addressed in the Discharge and Release form, making the insured a trustee for the benefit of the insurer. Hence, Foreign insurers should include in their Policies and in the Discharge & Release form a provision to the effect that the insured should cooperate with the insurer in filing a claim against any party responsible for the loss or damage, and that the insurer may use the insured’s name in such a claim. In addition, the insured should confirm that the money thus recovered belongs to, and should be transferred to the insurer up to the amounts paid by the insurer, and will be held by the insured as trustee for the benefit of the insurer. The law concerning the right of Israeli Insureds to directly purchase abroad insurance for risks situated in Israel has not changed and is not influenced by this judgement. The Control Law forbids carrying out insurance business in Israel without license, however it is legal to sell insurances of Israeli risks, directly from abroad. Lloyd’s Underwriters have a unique position, within the Control Law, and therefore the above judgement should not apply to them.